Greetings and welcome to all Alumni of the Wright State University Fraternity and Sorority Community. We are excited that there is now an official Alumni affinity group for our Fraternity and Sorority alum. 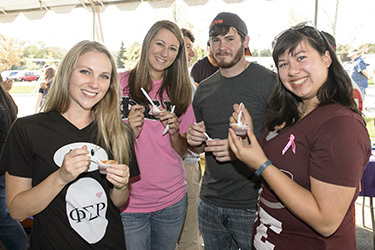 The Fraternity and Sorority Alumni Society (FSAS) formed in 2014, and is continuing to grow and serve alumni of the Greek community. You are encouraged to contact the Wright State University Office of Alumni Relations at (937)775-2620, to update your contact information. Please visit the FSAS webpage to learn about upcoming Raider Alumni events.